Is your business in need of a new or updated sign? 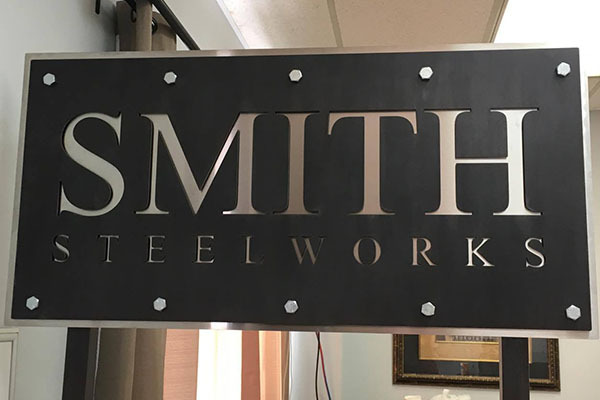 At Smith Steelworks, we design and manufacture custom signs that provide logo integration, special imagery, inscriptions, and other personalized options. 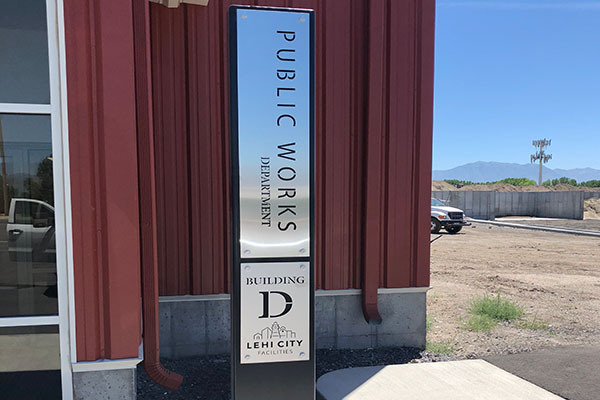 To get started on your metal sign, give us a call at (801) 414-1724, or keep scrolling to learn more about our steel signs. Send us your design ideas for the laser cut business sign. It can be a word document, sketches, or a fully created illustrator file that are ready to be cut. 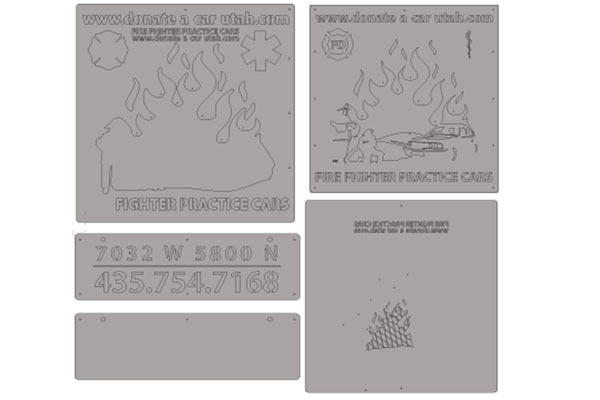 Our team will take your business sign designs and create a file that is ready to be laser cut. We will send you a proof before we begin cutting. 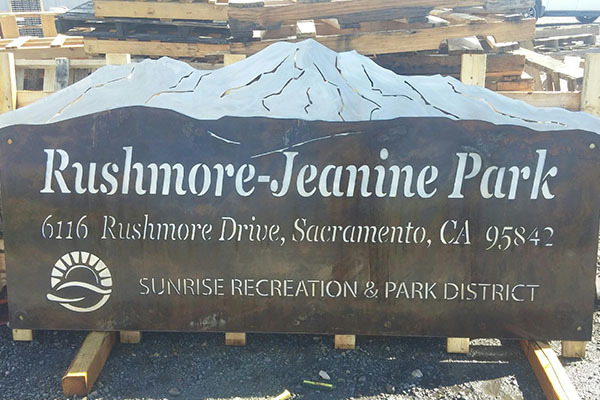 Once the sign has been laser cut, it is sandblasted, primed, and powder coated for a weatherproof finish. 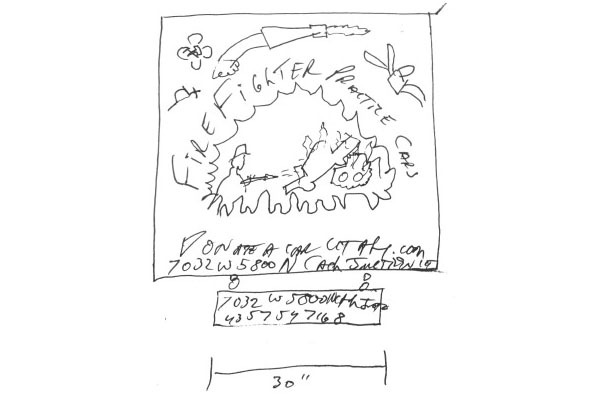 The sign is then mailed directly to you. 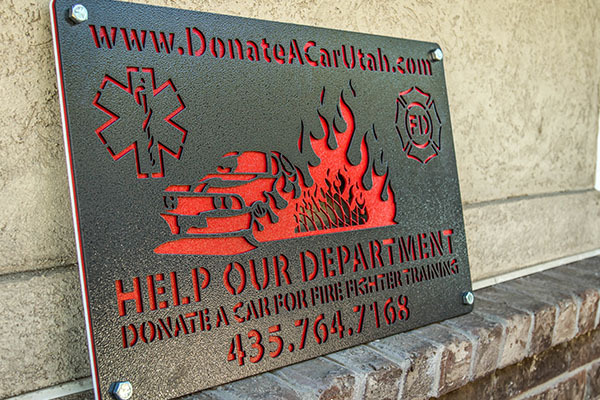 Smith Steel Works manufactures custom laser cut signs to make your business stand out. Each laser cut business sign is available with custom design options including logos, inscriptions, etc. 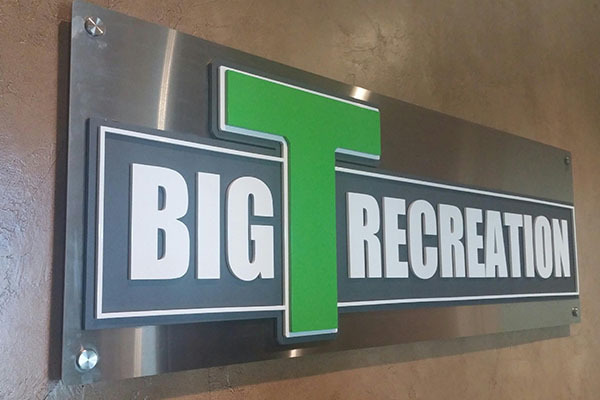 Our design team specializes in creating custom business signs that fit your needs. Work with our team today to help get your business message across with a laser cut sign. 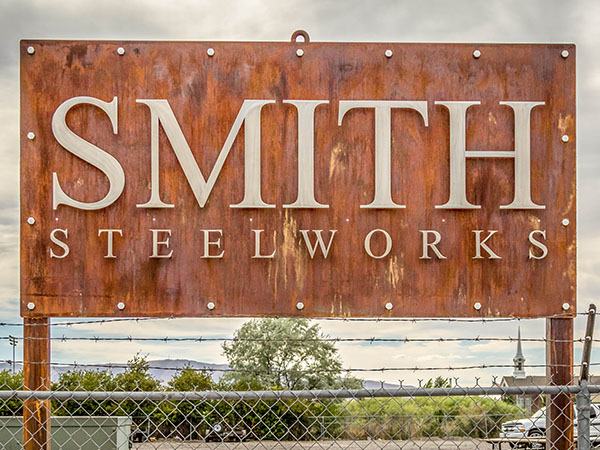 At Smith Steel Works, each laser cut sign is designed to fit your space. When ordering, be sure to include the dimensions for the metal sign. Each laser cut business sign is powder coated for a tough, weatherproof finish. 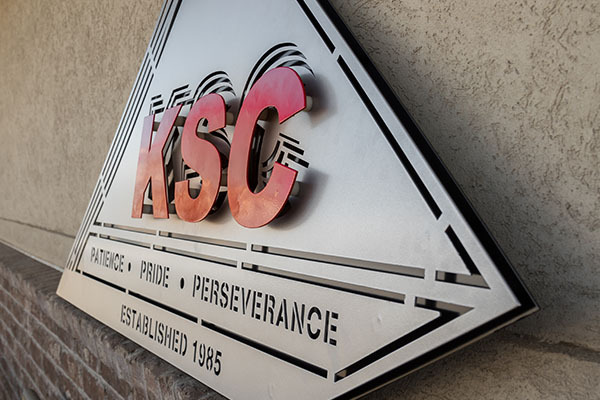 Our signs are created to endure the toughest conditions without succumbing to rust and corrosion. Choose between our four finishing options for businesses signs. Powder Coat: A smooth, durable layer that is resistant to chips and corrosion. It is available in a large selection of vibrant colors. Stainless Steel: Stainless steel naturally repels rust and weathering. 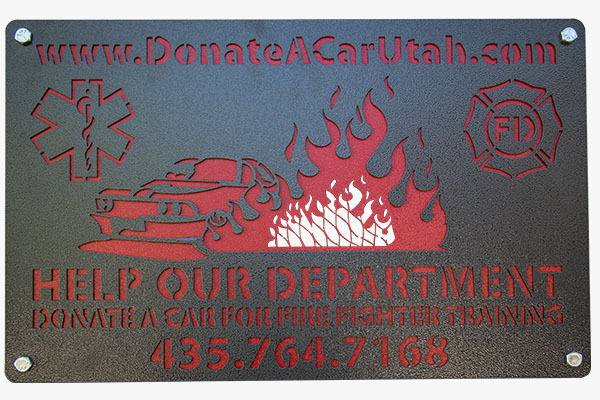 It is perfect as a backing plate or to be used as an individual sign. 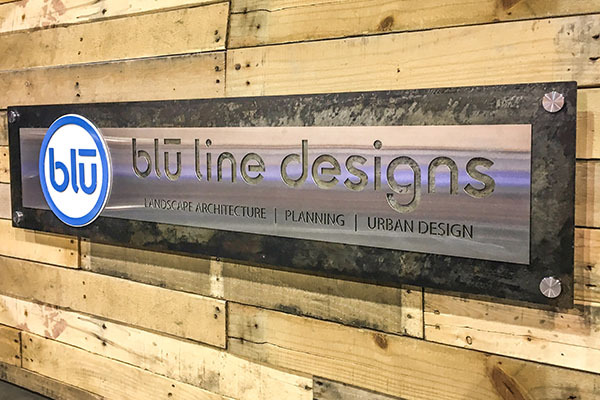 Blackened Steel: Blackened Patina Steel is only available for indoor signs. 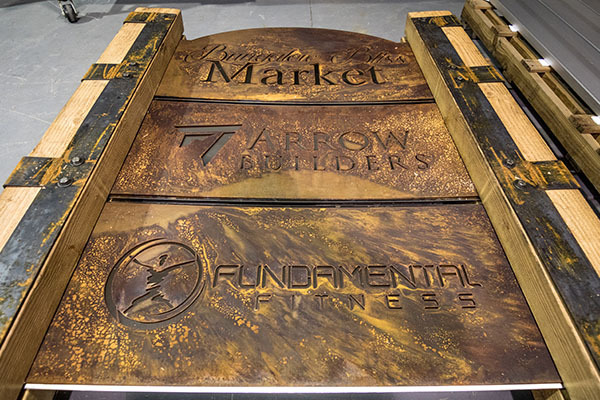 Rust: A rustic finish is one of our favorite business sign finishes. For indoor signs, we rust the metal and apply a clear coat. Outdoor signs do not require a coat and will continue to rust gracefully overtime. 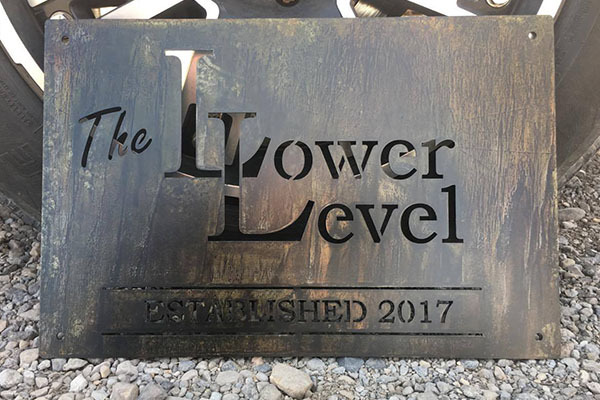 The blackened steel sign is a unique finish that adds a modern touch to the business sign. The stand-off options gives the business sign a 3D design look. Perfect to make your business pop. The business signs are designed to compliment your store front while adding modern embellishes. 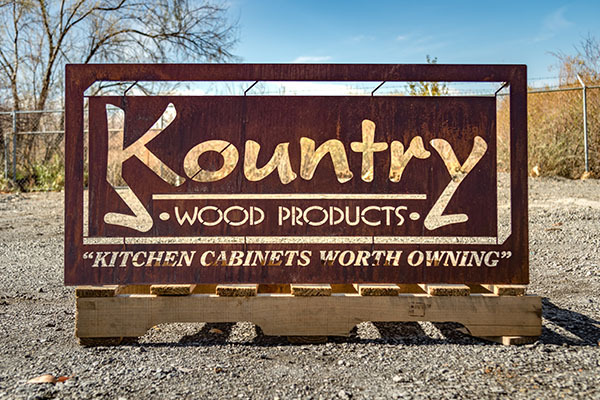 Rustic business signs are one of the top finishing options for indoor or outdoor installations. 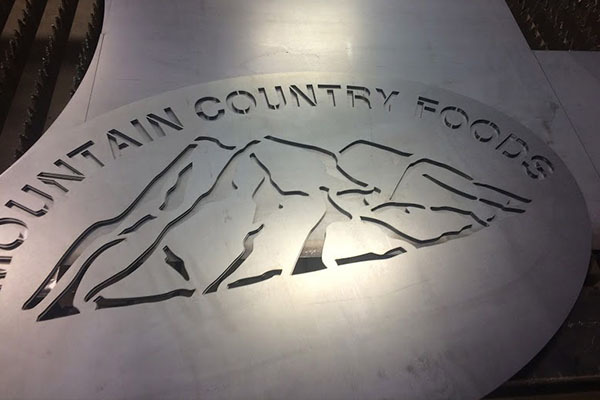 The stainless steel provides a beautiful contrast from the rustic laser cut metal sign. 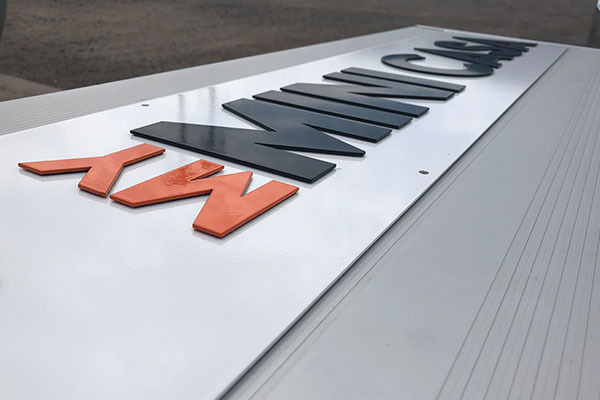 Adding multiple metal layers to your business sign is a flawless way to add vibrant detail. We understand the importance of brand recognition. Send us your logo to be added to your sign. Stainless steel business signs provide a clean, crisp look to your office sign. 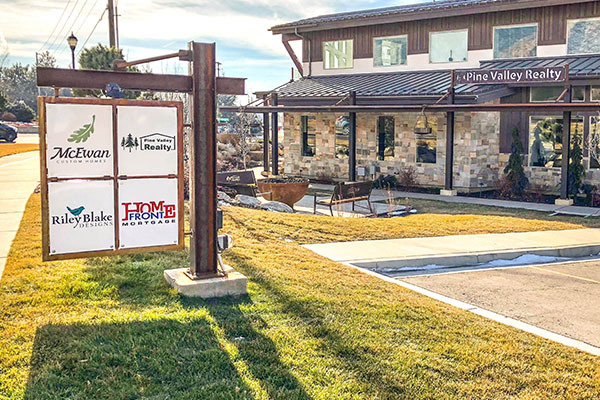 For this American Fork sign, we used inspiration from the Wasatch Range that backdrops the city. 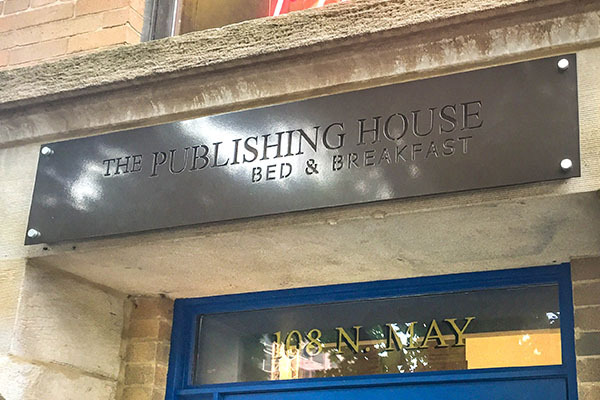 The rustic metal finish is a beautiful option that is a popular for business front signs. 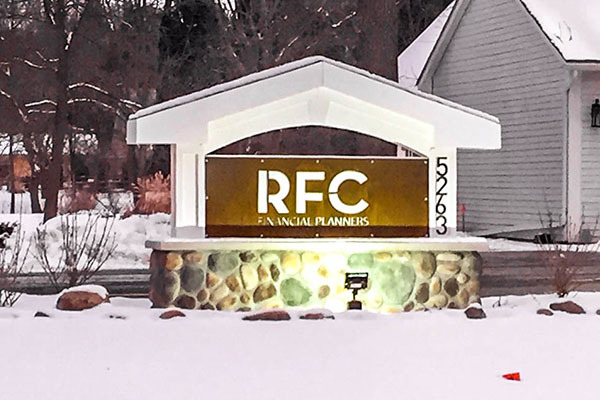 The RFC Business Sign makes a statement with a rustic finish and powder coated white backing plate. 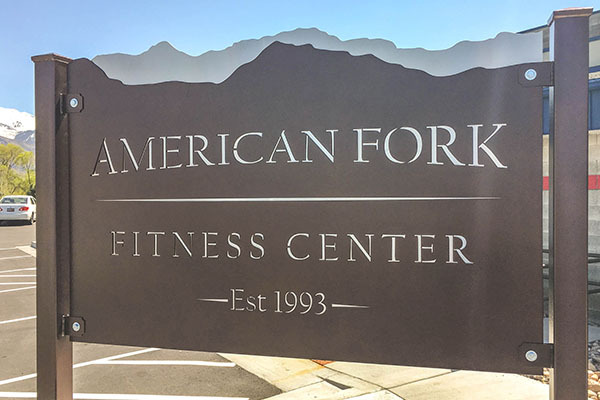 American Fork Fitness Center was designed with a rustic top layer and stainless steel backing plate. For this business signage, we used the same font as the logo, creating continuity across the sign. 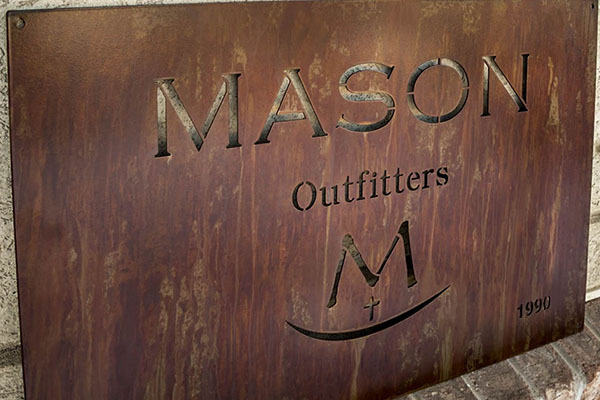 The Mason Outfitters Sign is a prime example of combining modern and rustic together. Take your business to the next level with a business statement sign. Add a custom logo or other icon. Looking for the perfect place to install a business sign? The door archway is a clear way to mark your location. Powder coated business signs provide vibrant, sleek color. You can view our color options here. Highlight several companies i a business with a multi business sign. Add custom logos and finishes. 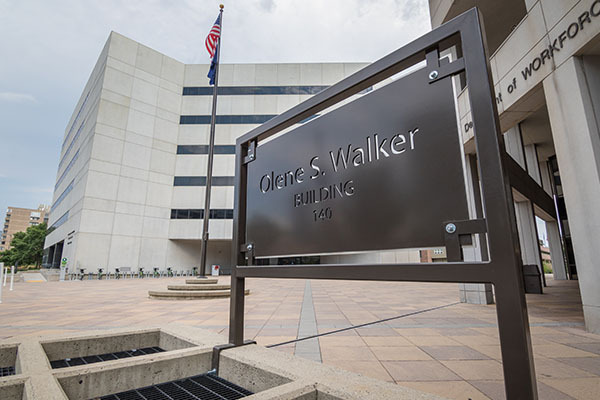 A stainless steel sign is a perfect way to mark a building. Choose between multi fonts and design options. 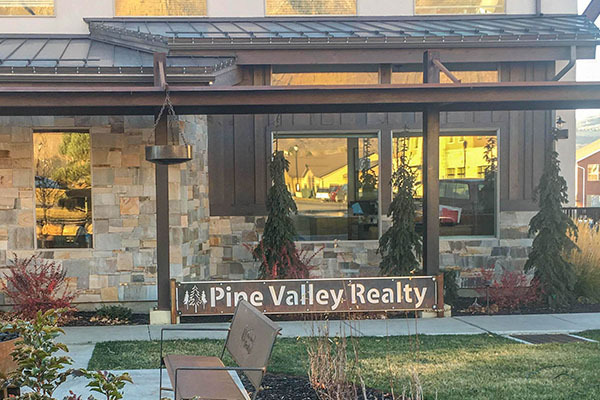 The Pine Valley Realty sign was designed with a rustic finish and a stainless steel backing plate. 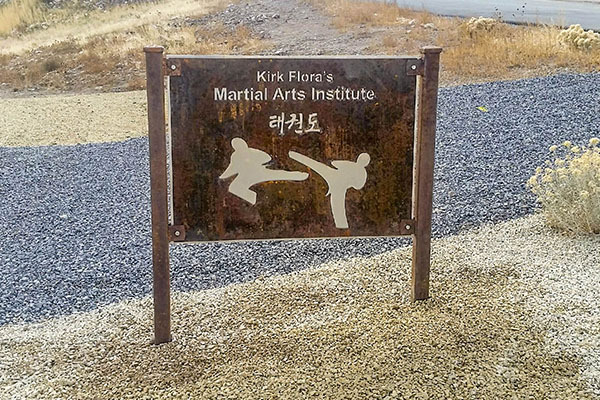 This business sign is reversible with white powder on one side, and Copper Canyon on the other.